French journalist Thomas Dandois, who together with his colleague was jailed in West Papua for not having a correct entry permit, says he doubts that Indonesia will lift the region's media ban as has been promised. Earlier this month, Indonesian president Joko Widodo promised to end the decades-long restriction on foreign journalists’ entry to West Papua, although journalists are still required to apply for a permit and are subjected to screening. Mr Dandois was in jail for two-and-a-half months last year  after filming a documentary on the Papuan independence movement. He believes the change will not happen ‘overnight’ and added that the Indonesian government will not be pleased with the findings of his report on the region. A French journalist who was jailed in West Papua last year for not having the correct entry permit says he doubts Indonesia will follow through with its promise to lift the region's media ban. Indonesia's president Joko Widodo announced the end of the decades-long restriction on foreign journalists reporting on West Papua during a visit earlier this month. Thomas Dandois, along his colleague Valentine Bourrat, was jailed for two-and-a-half months last year while in the province filming a documentary on the Papuan separatist movement. "I think it will not change dramatically overnight," he told Radio Australia. "The reports won't please the Indonesian government. There will be things they do not want to hear." Since Mr Widodo's announcement, a senior Indonesian official said that foreign journalists would still have to apply for permits and would be subjected to screening. 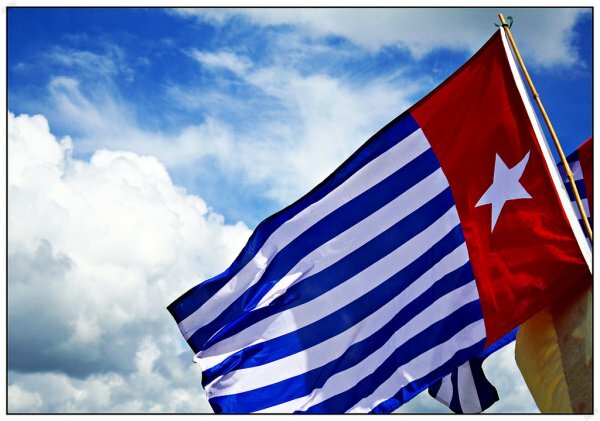 "Is West Papua definitely opened to journalists, will they be able to do their job? We don't know it yet and we must stay extremely careful about it," Mr Dandois said. Mr Dandois has returned to France but still closely follows events in the resource rich area. "I have the feeling that if I request a visa, I will not get it," he said. "That was the first idea that came to my mind when I heard the news. I thought, well, let's see how they will react if I ask for one." Mr Dandois had already been in prison in Niger before his arrest in Indonesia. The father of two had vowed "not to go back into a war zone, not to take that risk." But the possibility of the ban being lifted has made him think again. "We did not have enough for a full report. But it could be interesting, today ... or a year and a half later, to complete our report by interviewing both parties," he said. "This would allow us to do a full report, not a biased one against the Indonesian government."